Books are topics of passionate discussions among book lovers. And it's even more fun to discuss the full reading lists. 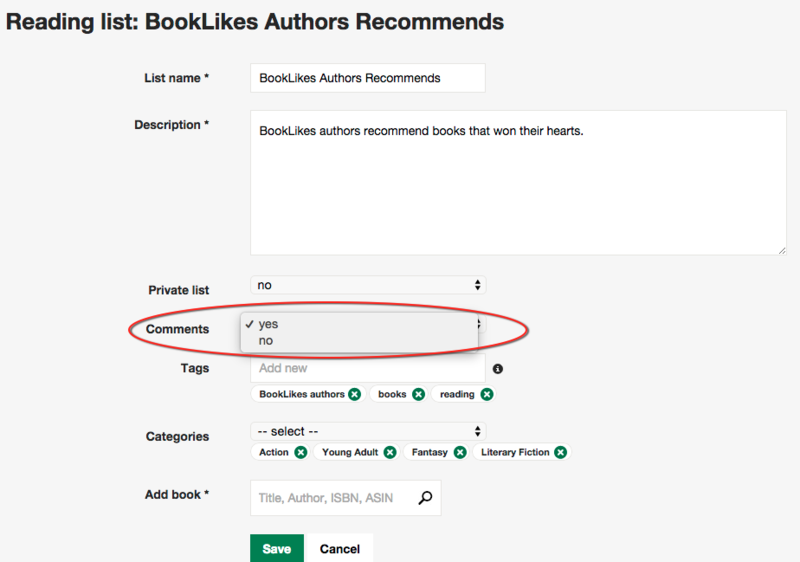 Now you can add your comments to the reading lists on BookLikes to show the appreciation or enrich the list with your book recommendations. 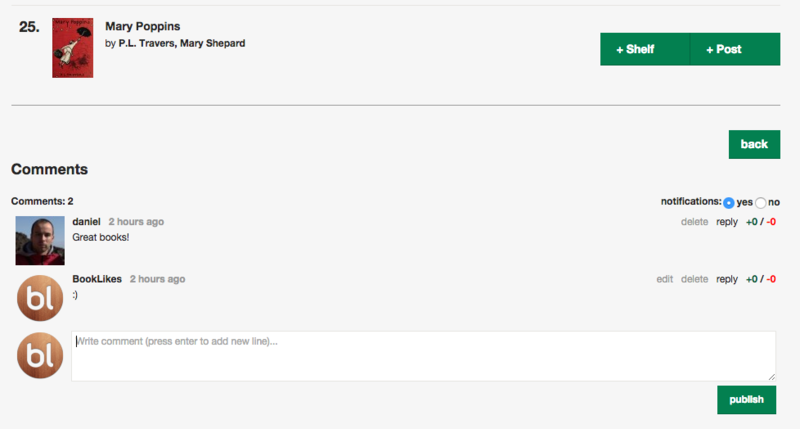 The comment box is visible below the reading list. The notifications will be sent to the discussion's participants. Each blogger can decide whether to switch on or off the comment section when you're adding a new list or when editing the one that is already published. LAST-MINUTE UPDATE: Form now on you'll also receive the notification when someone signs up to the list, shelves the books or likes your list. 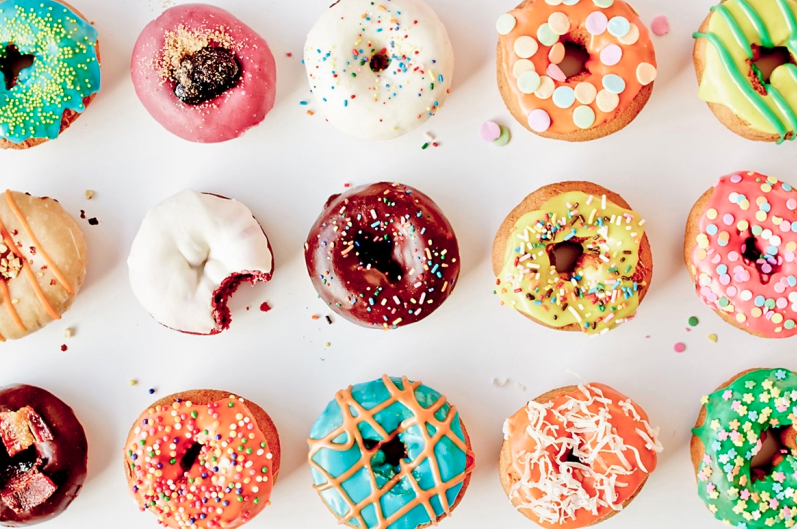 We wish you a lovely reading time by a cup of hot tea and a plate full of donuts! 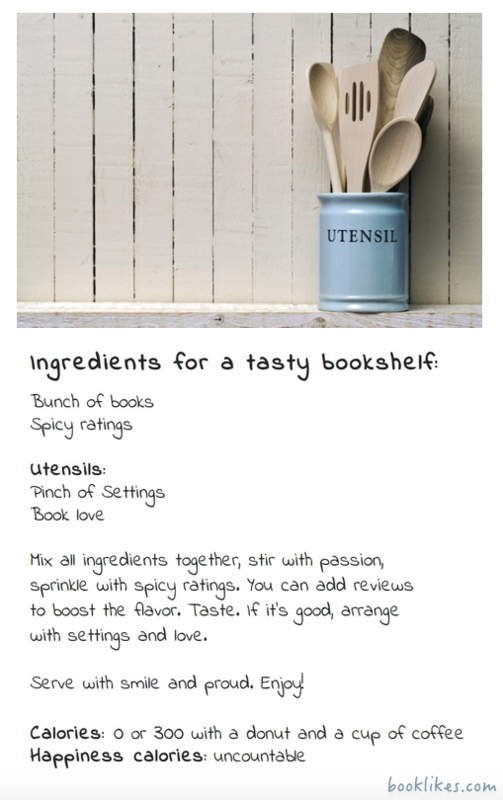 If you don't like sweets, we have an alternative recipe perfect for book lovers.